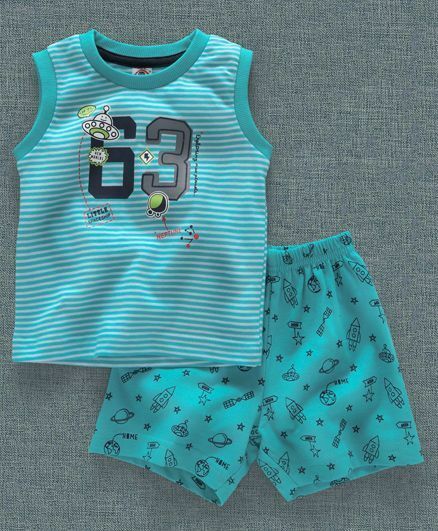 Dress up your little boy in this attractive sleeveless T-Shirt and shorts set from the house of Zero. The round neck T-Shirt comes with attractive stripe & space print. The shorts come with soft elastic waist for a perfect fit. Pullover style sleeveless T-Shirt makes the dressing a fuss free affair. Styling Tip: Mix n match this set with matching shoes to complete the look. "good and worth to buy"